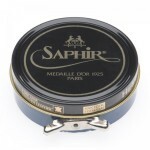 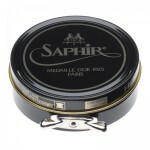 Saphir make wonderful shoe care creams and waxes that are well respected around the world by shoe connoisseurs. This is the regular 50ml tin of high gloss polish or glaçage. 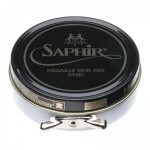 "I love the finish from this and enjoy working both the heel and the toe of my shoes to such a fabulous shine. 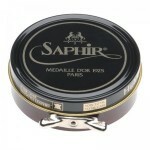 Not many products compete against this for a truly great finish! " 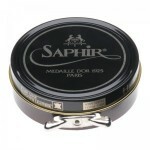 "Best polish in the market."